Will New Toxics Law Hide Secret Chemicals? When I first smelled a strange odor coming from my daughter’s brand-new pajamas, I wanted to find out what caused it. I had no idea that this seemingly simple question would lead me on a quest through corporate boardrooms, the halls of Congress, and back alleys, eventually to discover that companies are not required to disclose whether their products contain potentially toxic chemicals. My new documentary “STINK!” follows my journey as I clash with political and corporate operatives trying to protect the darkest secrets of the chemical industry. I was shocked by what I learned, and I’ve made it my mission to fight against secret chemicals in everyday products. Few laws are more important in that fight than the Toxic Substances Control Act of 1976, the country’s primary chemical safety law. Under current law, TSCA, pronounced “tosca,” contains a loophole that has allowed the chemical industry to claim that thousands of chemicals in commerce are “trade secrets” protected from public disclosure — even when someone may have been injured after being exposed to that chemical. Both the House and Senate have passed bills proposing revisions to TSCA’s trade secret laws. Congressional leaders are working on reconciling the two bills now. The secret chemical provision in the House-passed bill is far worse than the Senate’s version. The House bill would ensure that thousands of secret chemicals already in the environment will remain just that – secret. 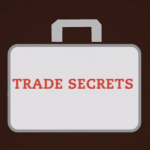 First, under the House bill, trade secret claims asserted in previous years would remain secret. By contrast, the Senate bill would require the U.S. Environmental Protection Agency to review past trade secret claims. Second, the House bill would actually make things worse than under current law by allowing industry to hide information about a chemical’s identity in health and safety studies. Why? Third, the House bill would give companies 10 years to “resubstantiate” their trade secret claims. During that period, the EPA could not ask companies for more evidence to support those claims or revoke that trade secret status. By contrast, the Senate bill would require companies to prove to the EPA periodically that their company secrets should stay secret. Chemical makers would have to produce evidence whenever the agency inquired out of concern for safety. The EPA would not have to wait to ask questions when a substance’s privileged status as a trade secret was about to expire. Also, under the Senate bill, a chemical banned by the EPA would automatically lose its super-secret status. I understand that chemical companies need to keep some practices from their competitors or they’ll lose the incentive to innovate. But their arguments for trade secret status should be double-checked. Frequently. When manufacturers can keep chemicals secret, we don’t get to choose the chemicals to which we’re exposed. The chemical industry gets to choose for us. There are plenty more problems with both the House and Senate versions of the toxic substances overhaul bill. For example, neither measure provides enough funding to enable the EPA to investigate the most potentially dangerous chemicals in a timely way. But keeping secrets? Forever? Even my daughters know that some information should be shared. Will New Toxics Law Hide Secret Chemicals? March 26th, 2016Stink!